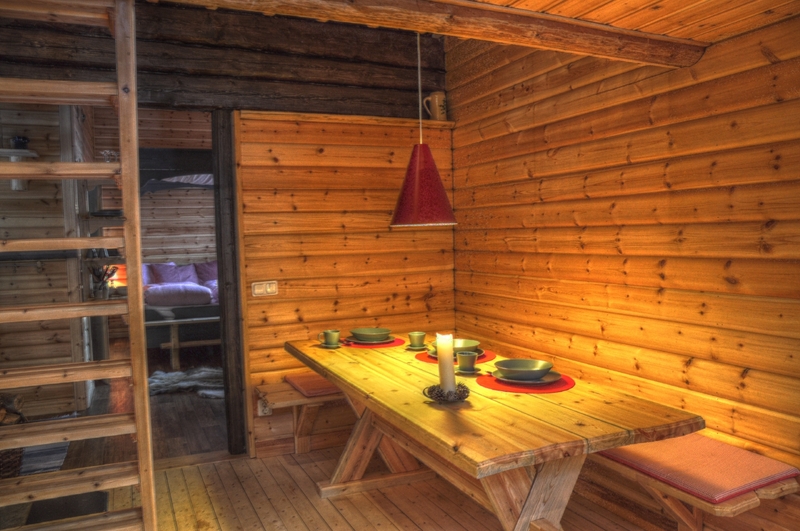 An nice log cabin which stood empty and abandoned on our property was the starting point of our considerations. Should we tear it down or renovate it? 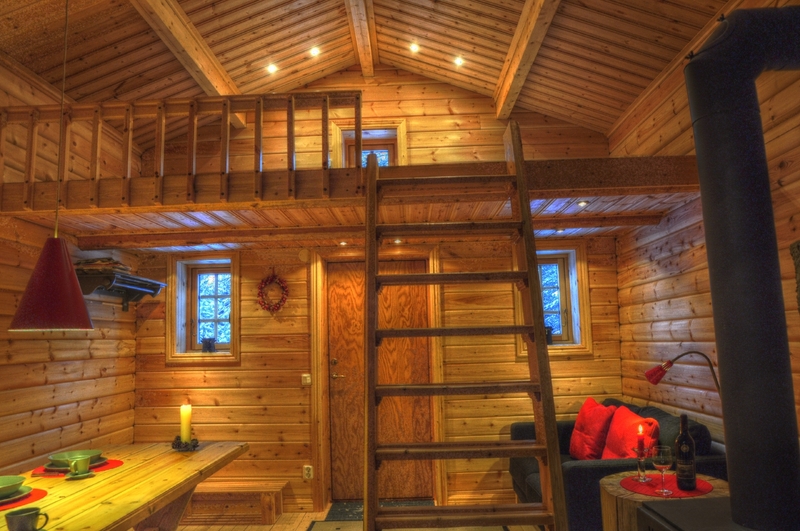 We opted for the latter and so in 2010 a new guest house was built from this cabin. 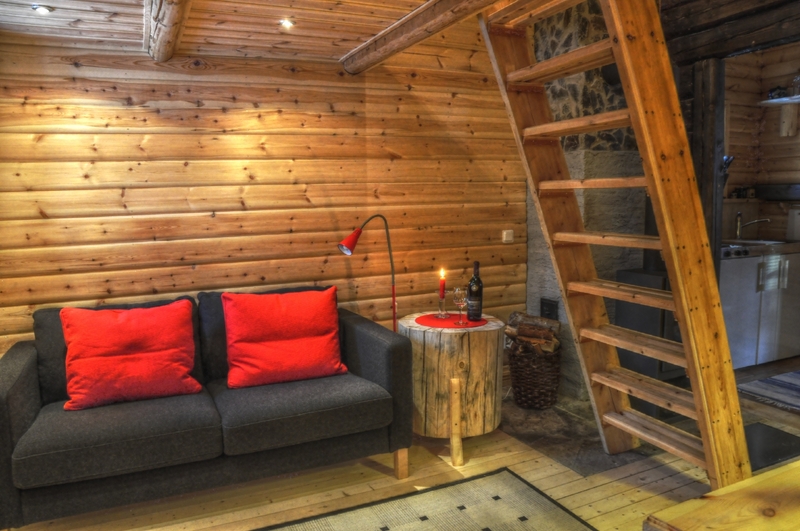 Now it provides room for up to 4 people to enjoy their vacation. Without compromising the rural character we have furnished and equipped the house to ensure high standard and the welfare of the guests. The cabin is designed for self-sufficiency, which means you have a fully functional kitchen area with fridge, stove and sink. The bathroom includes a hot shower and toilet. The building is in the style of the Nordic tradition. 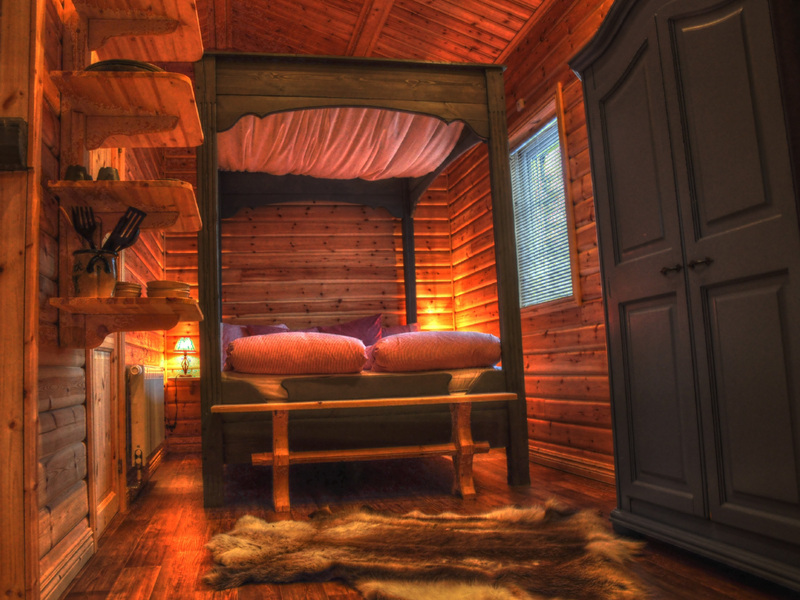 As building material we predominantly used fir and pine woods which were cut in scandinavian forests and processed in the local wood industry. The rooms are heated with environmentally friendly geothermal heating which guarantees a comfortable temperature almost all year round. 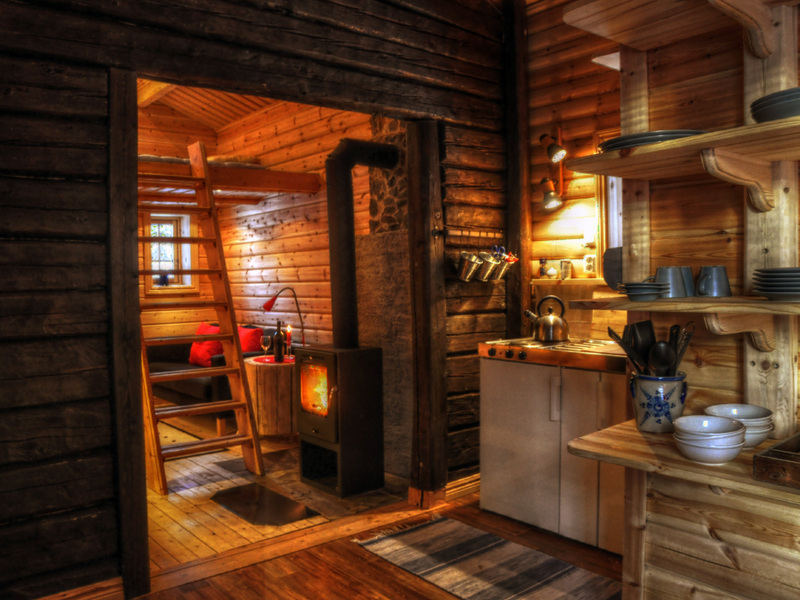 But Laplands real feeling comes on only if a fire is crackling in a fireplace (especially during cold winter days), we have therefore installed a wood stove in the cabin. We have also placed particular emphasis on the isolation. Thick mineral wool in floors, walls and roof keeps the heat in the winter inside and in the summertime outside. The price is for 1 to 2 persons. Each additional person will be added 250 SEK per day (max. 4 adults). Children aged 6 to 12 years pay half price. Children under 6 are free. Arrival and departure count as one day. All operating expenses such as electricity, water, sewage, waste disposal, fire wood for the fireplace. Furthermore, you will get bed linen and towels. Your meals, boat rentals, transfers and other services. Wi-Fi are available.